Where do Kefir grains come from ? 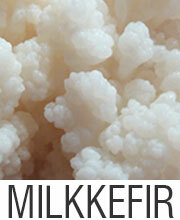 The history of milk kefir was initially part of a legend and a bit mysterious too. 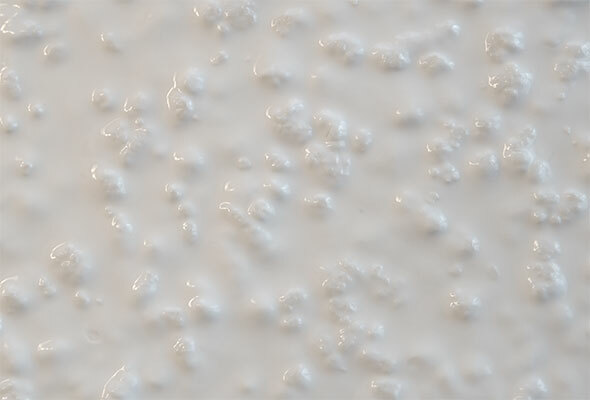 People living in the northern slopes of Mountain Caucasian believe that Muhammad, the Great Prophet gave kefir grains to the Orthodox people and showed them how to make it as well. They guarded the grains and the knowledge given to them by the Prophet for fear of losing their strength. The kefir grains became the families’ and the tribe’s wealth and the uses and techniques of preparation were known to the future generations only. 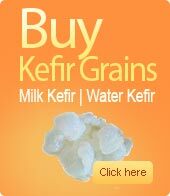 Kefir is a milk product made from the milk of goats, cows and sheep also. 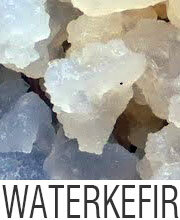 There were sacks made of animal skin in which kefir was made. The sacks were kept in a way that it came in contact with direct sunlight which helped in the fermenting process of the milk. In the evening the sacks were carried back home and hung behind the doors so that people passing the door would prod them with their hands or feet so that the content mixes well. More fresh milk was added after the kefir was taken out so that the fermentation process did not stop. This exclusive food was enjoyed by these people for many years. They believed that the beverage prepared with it had magical properties. However, around the 19th century, Russian doctors believed that kefir had great healing properties like treating tuberculosis and other intestinal disorders and published the first scientific research studies. To produce the grains the source of the grains were required urgently to use this unique food for treating ailing patients. The Blandov brothers owned a Dairy in Moscow as well as properties in the Mountains of Caucasus area. They were asked to gather the grains of kefir so that they could be manufactured on a large scale in Moscow itself. Although it was not an easy process, finally the grains were brought to Russia by princess Irina and the first bottles of kefir drink were on sale in Moscow in 1908. They were consumed especially for medicinal values. In the 1930s commercial production began in large quantities. Since the original method was not appropriate for large scale manufacturing, scientific methods were used to obtain this useful food. In 1950s, VNIMI invented easier methods that included fermentation, agitation, coagulation, ripening and then cooling in huge vessels. The Soviet Food Minister thanked Irina for bringing this invaluable grains to Russia. Today, kefir is the most popularly used fermented milk in Russia. In modern times, kefir is manufactured in Finland, Norway, Hungary, Poland, Bulgaria, Russia and other places also like USA, West Germany, Canada and Denmark on a commercial scale. 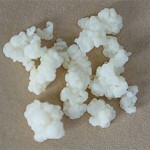 Kefir grains look like small-size cauliflowers more or less like wheat kernels. They are processed in such a way in leather sacks that they naturally ferment. These grains contain innumerable gelatinous micro-organisms and casein that are symbiotically grown together. Yeast is also present in the grains. These microorganisms are extremely useful for health and makes kefir so different from other milk products that are cultured in different ways. This self-carbonated beverage has probiotic properties and offers medicinal benefits for which the effervescent drink is so popular worldwide. It contains high levels of calcium, magnesium, vitamin B12, K2, enzymes, folate and biotin and other unique nutrients that boosts immunity, increases bone density, fights allergies, supports detoxification and improves lactose digestion as well. 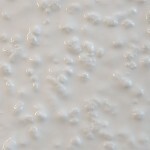 Milk kefir grains are named differently in different places like Kefir Yogurt, Snow Lotus, Kewra, Bulgaros, The Grains of The Prophet Mohammad, Tibetan Mushroom, Yogurt Plant to name a few. It is an amazing drink that is enjoyed by all. 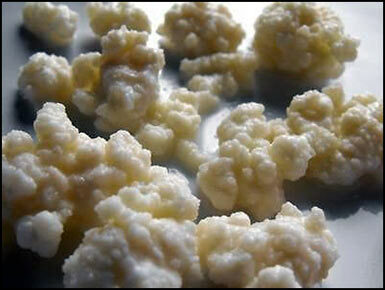 Tagged Authentic milk kefir, Kefir grains, Milk kefir benefits, Milk kefir has more health benefits, What is Kefir ?